annyang supports multiple languages, has no dependencies, weighs just 2kb and is free to use. Say "Show me cute kittens!" Say "Show me Arches National Park!" Now go wild. Say "Show me…" and make your demands! That's cool, but in the real world it's not all kittens and hello world. 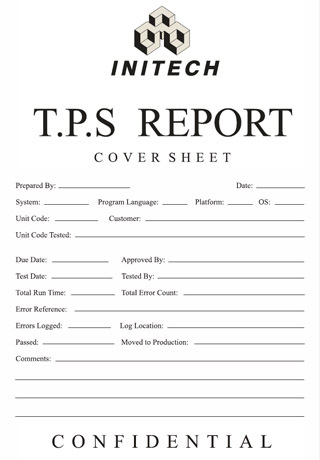 No problem, say "Show TPS report"
What about more complicated commands? annyang understands commands with named variables, splats, and optional words. Use named variables for one word arguments in your command. Use splats to capture multi-word text at the end of your command (greedy). Use optional words or phrases to define a part of the command as optional. annyang plays nicely with all browsers, progressively enhancing browsers that support SpeechRecognition, while leaving users with older browsers unaffected. Grab the latest version of annyang.min.js, drop it in your html, and start adding commands. You can also visit annyang on GitHub, and read the full API documentation or FAQ. © 2016 Tal Ater. All rights reserved. The annyang source code is free to use under the MIT license. Tal Ater retains creative control, spin-off rights and theme park approval for Mr. Banana Grabber, Baby Banana Grabber, and any other Banana Grabber family character that might emanate there from. It looks like your browser doesn't support speech recognition. annyang plays nicely with all browsers, progressively enhancing modern browsers that support the SpeechRecognition standard, while leaving users with older browsers unaffected. Please visit http://www.annyangjs.com/ in a desktop browser like Chrome.